Increasing Prospecting Results: Is it My Job as Sales Manager? Yes, it is your job, but are you willing to admit that you might not know how to do it? Too many sales managers think their role when it comes to prospecting is to merely measure the results, berate the underperformers and push those doing it to do it even more. 1 What is the % of follow-up and how are they following up? Surprisingly, too often one of the biggest breakdowns in prospecting is the lack of timely follow-up. Second, look at how they’re following up. Key is for the follow-up to build on the first contact. 2. 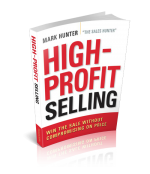 What is the % of time salespeople devote to prospecting and when are they doing it? Again this is an area where too many people slip. They’re either not putting in enough time or the time they’re putting in is when they’re burned out and thus it’s not effective. 3. Is the messaging clear and focused on the channel/type of prospect with whom they are dealing? Take the time to help your salespeople develop clear messaging for each type of prospect they might encounter. 4. Are they spending too much time chasing leads that are nothing more than suspects faking as prospects? Help your people be confident in asking the necessary questions early in the process to ensure the lead they’re talking with has potential. There’s nothing worse and demotivating than to spend time with leads who have zero potential. Join me at the Sales innovation Expo in London May 11-12! More than 3,000 sales leaders will benefit from 60 exhibitors and 80 seminars, as well as keynotes, master classes and more! I look forward to meeting you in London at the Sales Innovation Expo! PrevPreviousExecutive Sales Leader Briefing: Is the Role of the Salesperson Going Away?